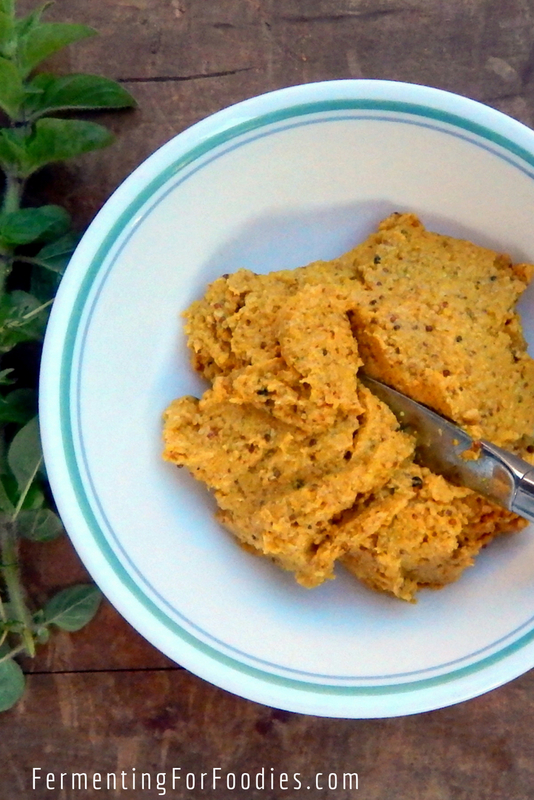 A classic fermented yellow mustard is perfect for hotdogs, sandwiches and salad dressings. Personally, I like the sophisticated look of whole mustard seeds; I love the bite of the little seeds between my teeth. However, you can always grind it to a smooth consistency. Mix the mustard seeds with the salt, water, and cider vinegar in a non-reactive glass dish. 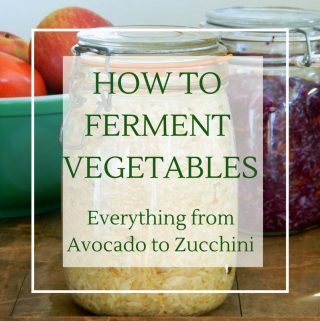 Allow them to ferment at room temperature for 2 days. Mix in the remaining ingredients. Using a blender or an immersion blender grind the seeds to the desired consistency. Store in the refrigerator in a glass jar. Allow to ripen for at least 2 weeks before using. This should last in the fridge for at least 6 months. -The seeds need to be fermented in an acid, so you can replace half of the the cider vinegar with whey, sauerkraut brine or kombucha. Just add the remaining 1/4 cup of cider vinegar in after the fermentation process or it won’t taste quite like mustard. -Mustard seeds will become less spicy over time so leave it to ripen in the fridge until the flavour suits you. 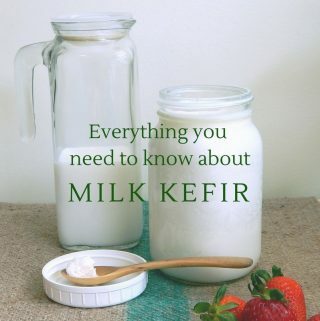 -It’s important to use sulfite-free spices when fermenting, as the sulfites will inhibit the fermentation process. Powdered garlic is very risky, and I wouldn’t trust something to be sulfite free unless the bottle is clearly labeled “preservative free”. I know Simply Organic is sulfite free because I emailed the company and asked! This recipe builds on the basic Dijon mustard recipe by adding flavours that turn it into a classic yellow mustard. However, it’s also a great base recipe for a fancy flavoured mustard! Just replace the turmeric, paprika and garlic with other flavours. Here are a few classic flavours. Honey Mustard: Add 1/4 cup of honey. Beer Mustard: Replace all of the cider vinegar with your favourite beer. Fruit Mustard: If you want to make a hot and sweet fruit mustard, you will need to follow this recipe. Hot Brown Mustard: Replace half of the mustard seeds with the spicier brown mustard seeds. Thank you for the recipe. I am wondering is it possible to use fresh spices, such as fresh or dried ginger, turmeric? I think you could use fresh ginger and turmeric. However, it might not last as long in the fridge, so use it within a month. Sounds yummy! 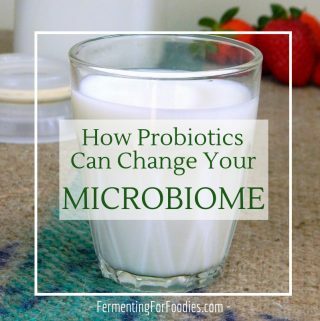 I’m wondering about the apple cider vinegar – it doesn’t halt the fermentation process? I thought I read somewhere that vinegar’s acid could interfere with fermentation, but that may be wrong. Acid will definitely affect a ferment. 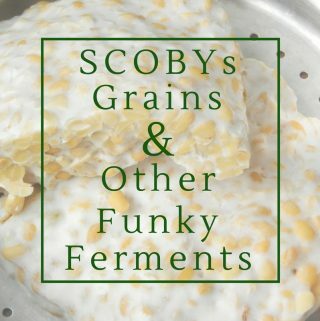 Most ferments acidify as they ferment. For example the bacterial profile of sauerkraut actually changes as it ferments from low acid-loving strains to high acid-loving strains. In this recipe I am using the cider vinegar for the ferment. Or at least to provide the probiotics in the mustard. It’s good to have it high acid to prevent other bacteria from culturing it, as mustard will last for months in the fridge. Do you need to move it to the refrigerator? If so, when? I move it to the fridge when I’m finished fermenting (will add that to the recipe!) 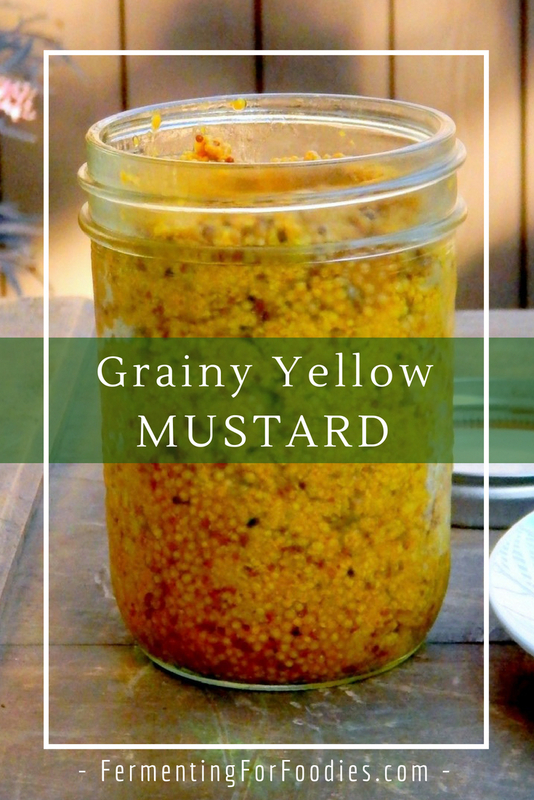 I since I started making this, I ALWAYS have homemade mustard in my fridge. It is so good, and I love grainy mustard.